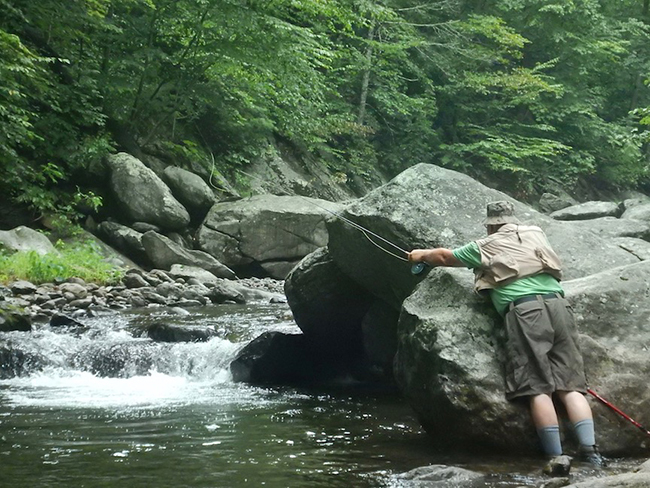 SYRIA, Va. – A wading trout fisherman uses a boulder for camouflage in an attempt to entice a Rapidan River brook trout to strike a dry fly. The fisherman was on a catch-and-release stretch of the river in Shenandoah National Park downstream from Rapidan Camp, a spot President Herbert Hoover and his wife created as a retreat from Washington, D.C., only 75 miles away. 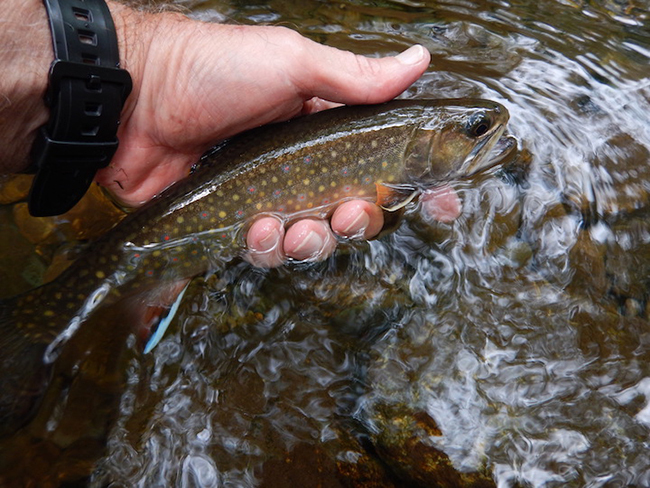 A Rapidan Brookie - Image by Tom Adkinson. The National Park Service has restored Hoover’s backwoods cabin, which has been restored to its 1929 condition. The park service offers 2.5-hour ranger guided hikes to Camp Rapidan. Among the park’s many other attributes are the Skyline Drive, 500 miles of trails and almost 200,000 acres of forest. Of course, you cannot overnight at Camp Rapidan, but many visitors to the area choose Graves Mountain Lodge in Syria as a base for exploring the area.